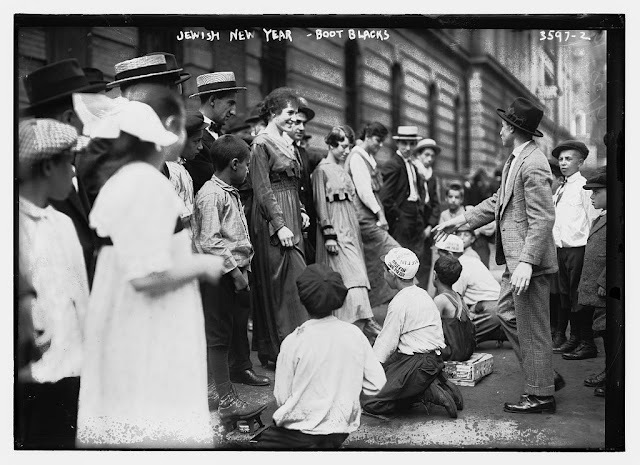 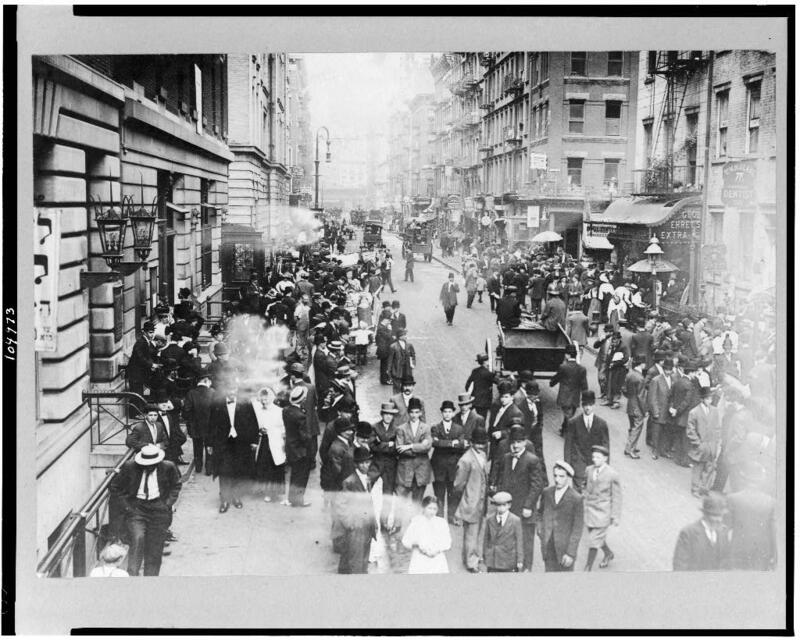 The George Bain Collection in the Library of Congress contains several dozen pictures of New York's Jewish community. 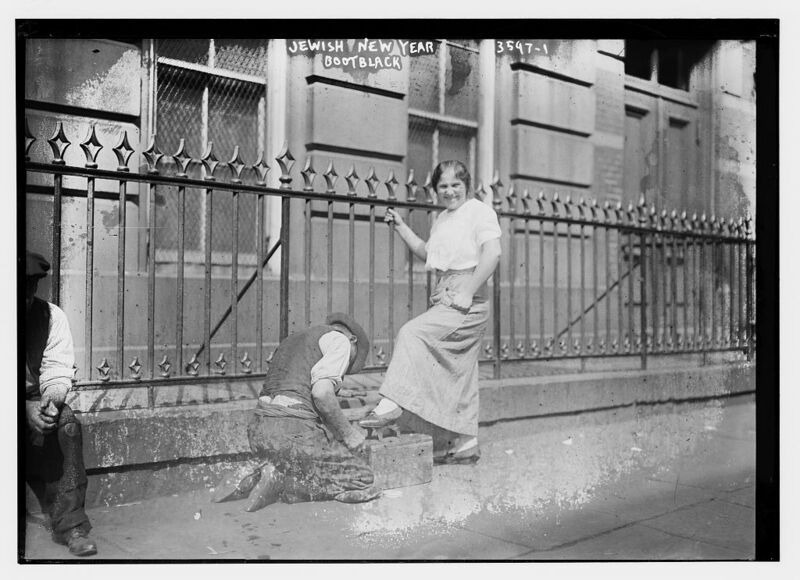 Our previous posting showed the community commemorating the Jewish New Year. 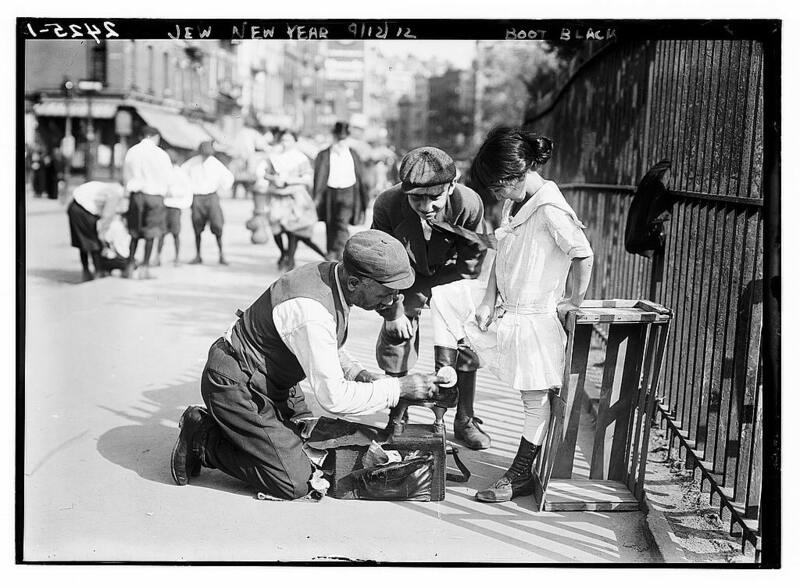 But during a period of about 10 years at the beginning of the 20th century, the Bain photographers focused on a group of very busy men on the eve of Rosh Hashanna -- not the rabbis or the cantors -- but the "boot blacks," the shoe shiners on the street corners. 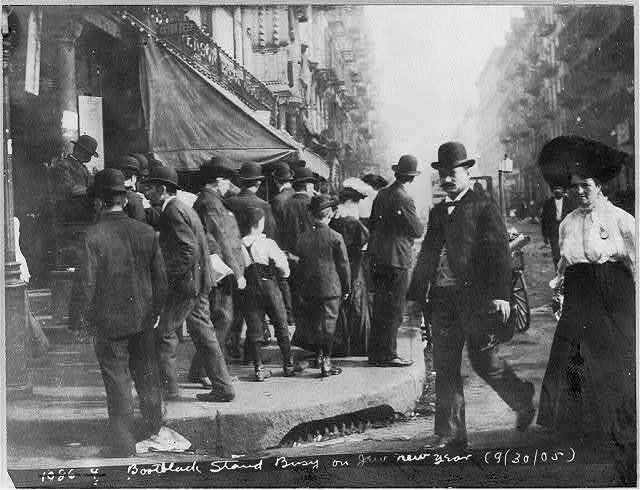 Note the women customers, perhaps the reason for the Bain photographers' interest.